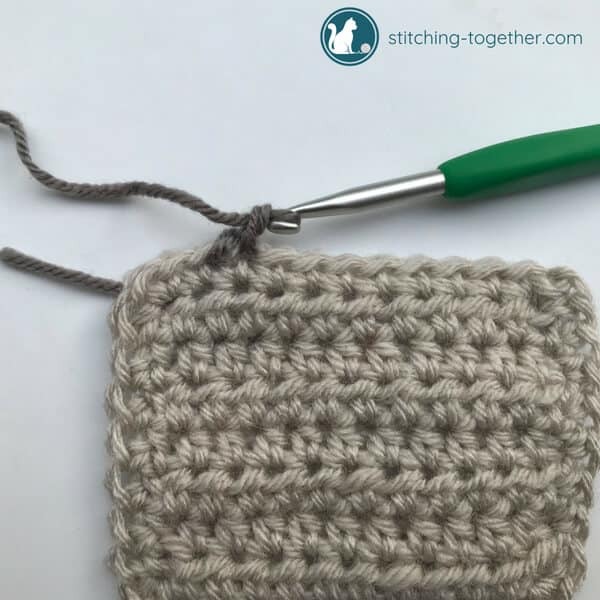 Have you been wanting to learn how to crochet the crab stitch, but think it looks a bit too complicated? 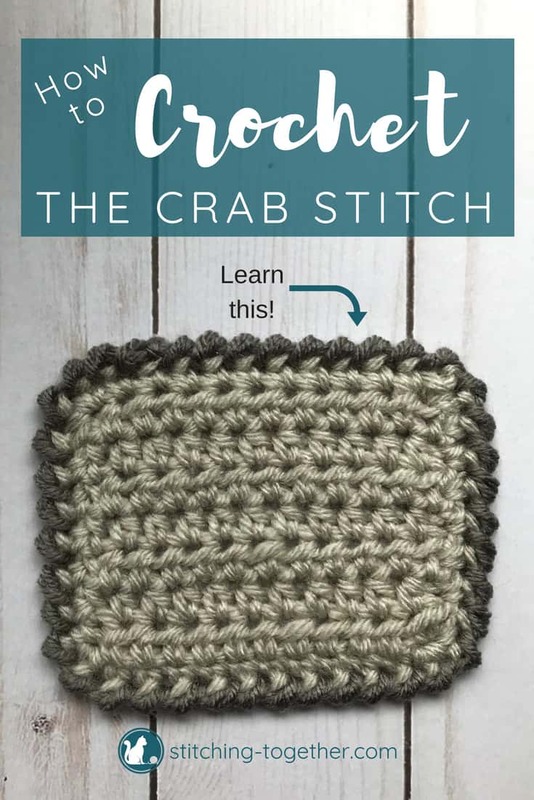 It really isn’t difficult and with this step by step photo tutorial, you can learn the crab stitch. 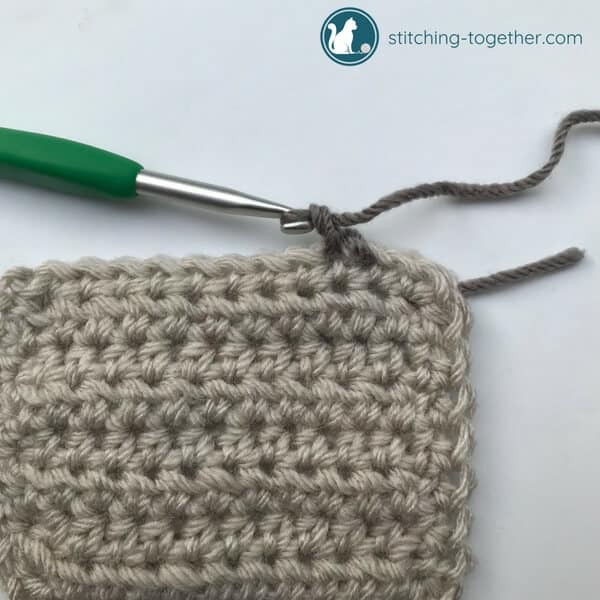 If you can single crochet, you can do it in reverse! 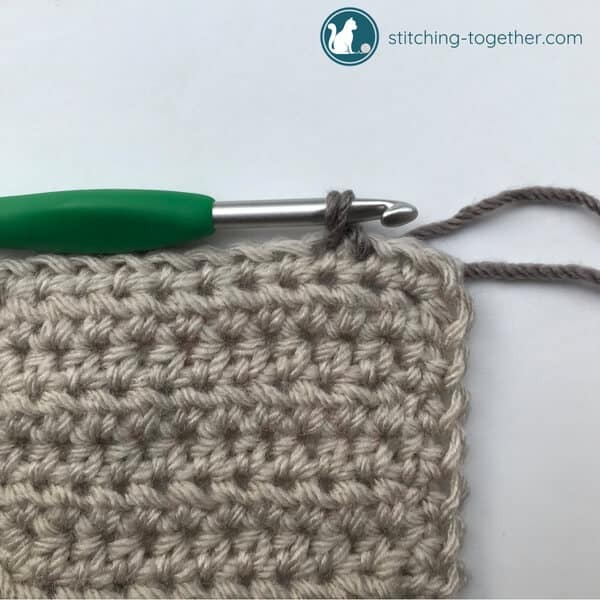 The crab stitch is also known as a reverse single crochet because you are literally working in the opposite direction you would normally work. 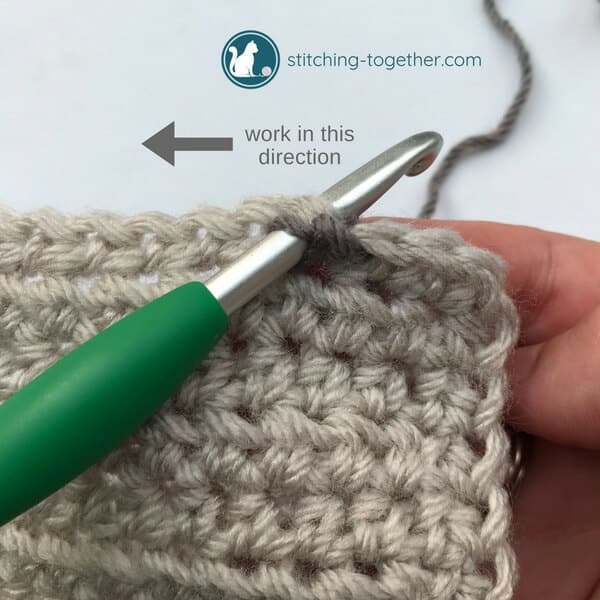 So for right-handed crocheters, you will be working from left to right and left-handed crocheters will be working from right to left. 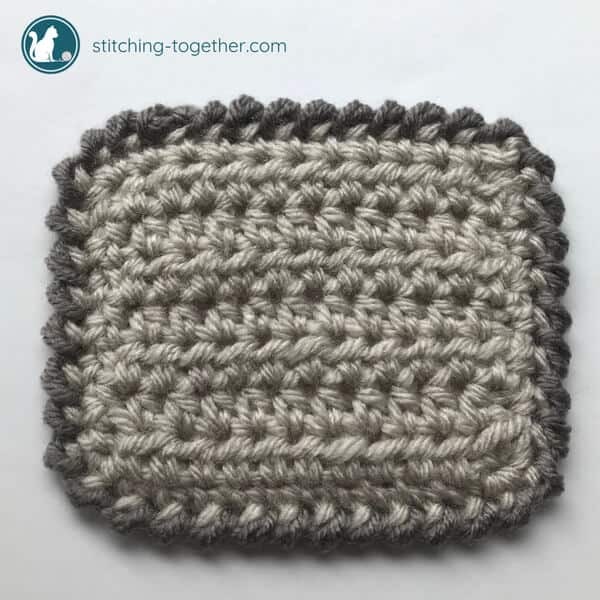 That’s it – the basic stitch is still a single crochet, just worked in the reverse direction. The stitch is also dense so it is great if you are looking for a border that does not have holes. To get started I’ve crocheted a little rectangle with a single crochet border around the entire outside edge. 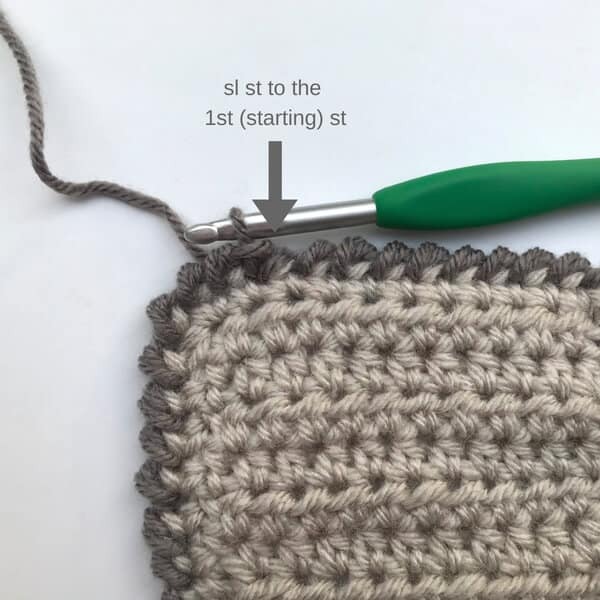 If you are using the crab stitch as a border around something like a dish cloth or a blanket (see the Diamond Lace Baby Blanket or the Easy Crochet Baby Blanket), doing a round of regular single crochets before adding the reverse single crochet border can make the entire process much easier. 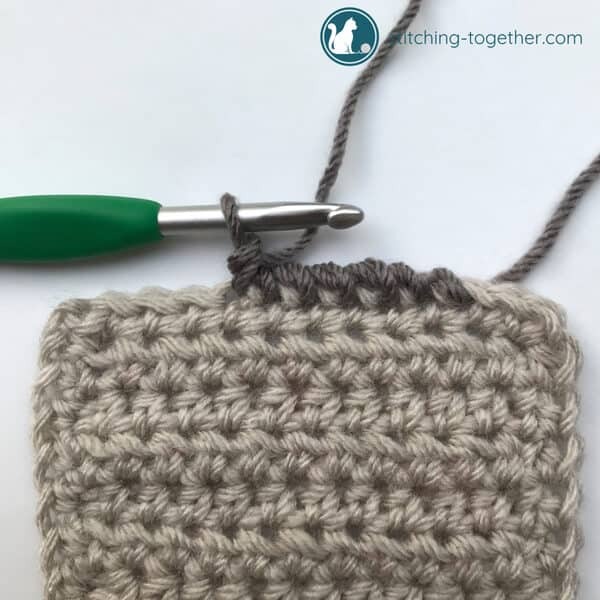 Scroll down for the left-handed tutorial of how to crochet a reverse single crochet. Don’t forget to save this tutorial on Pinterest so you can come back to it later! 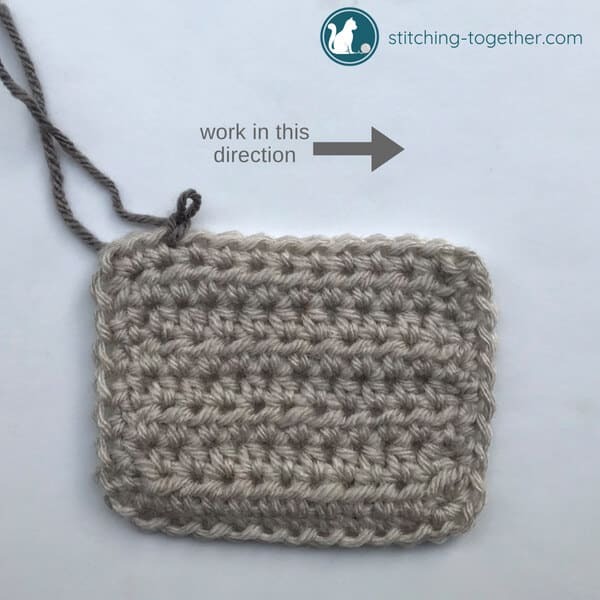 Making sure the right side is facing you, join yarn and chain 1 or just ch 1 if you are using the same yarn as the body of your project. 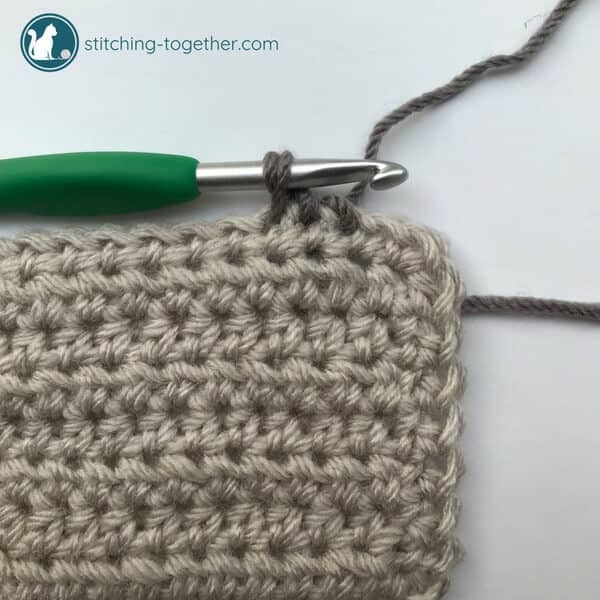 The reason the crab stitch is also called the reverse single crochet is because you are working in the opposite direction you normally work. 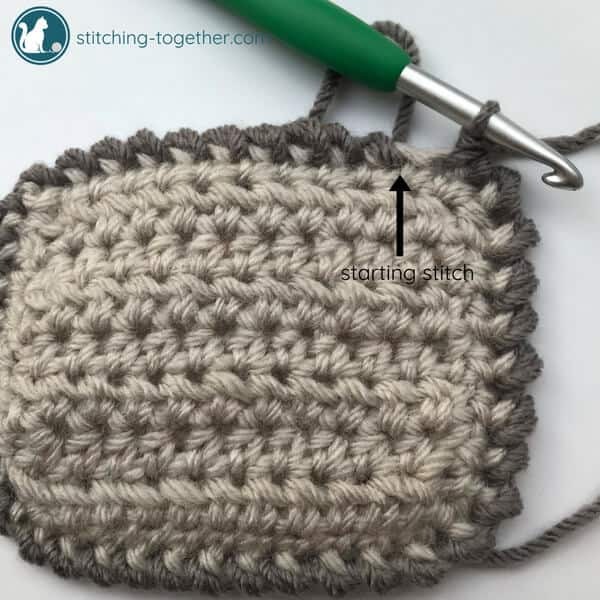 Instead of going into the stitch to the left (when you are looking at it) you are going to work into the stitch to the right. Insert your hook into the stitch to the right of your chain. Yarn over and pull up loop like a normal single crochet accept, as you can see, your stitches will be twisted. Yarn over and pull through both loops on hook. 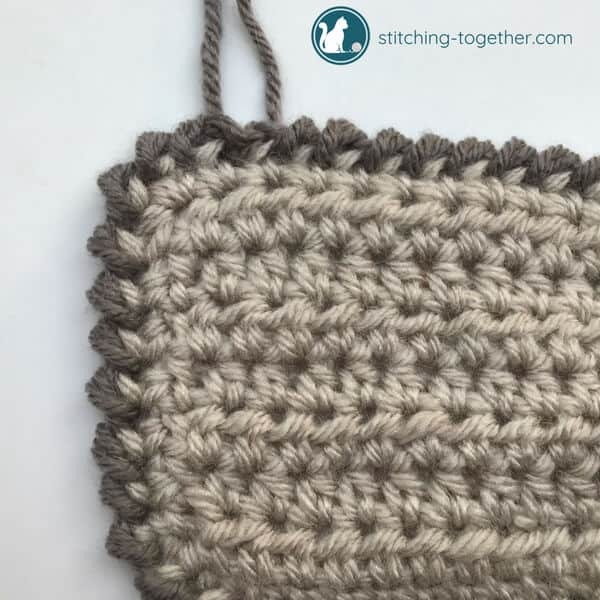 Continue, inserting your hook in the next stitch to the right, yarn over and pull up loop. 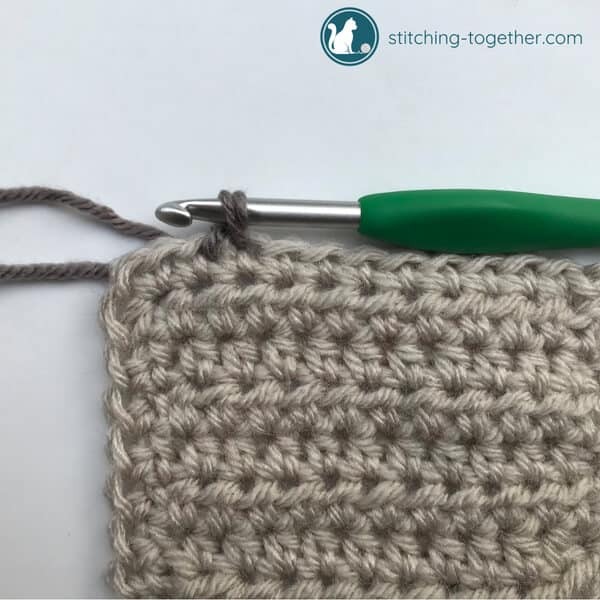 When you pull up the loop, it is helpful to hold your hook horizontal the the previous stitch so you are creating the same height with each stitch. Yarn over and pull through both loops on hook. 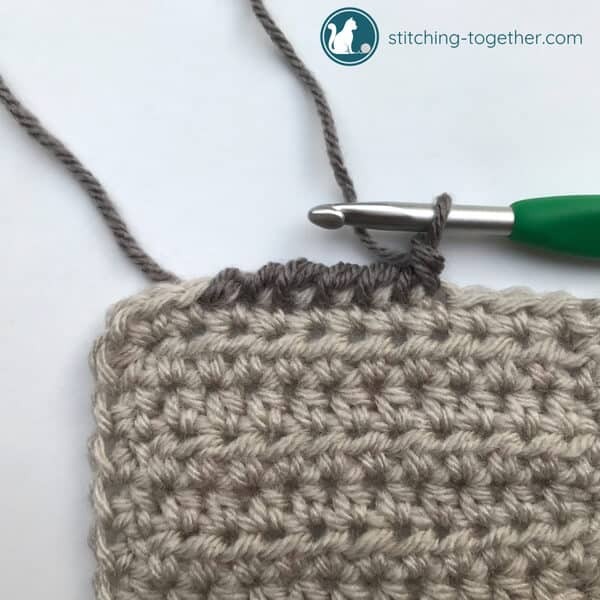 As you add more stitches, you can see the twisted stitches forming the solid crab stitch border. Continue to reverse single crochet around the entire edge putting a crab stitch in each stitch below. 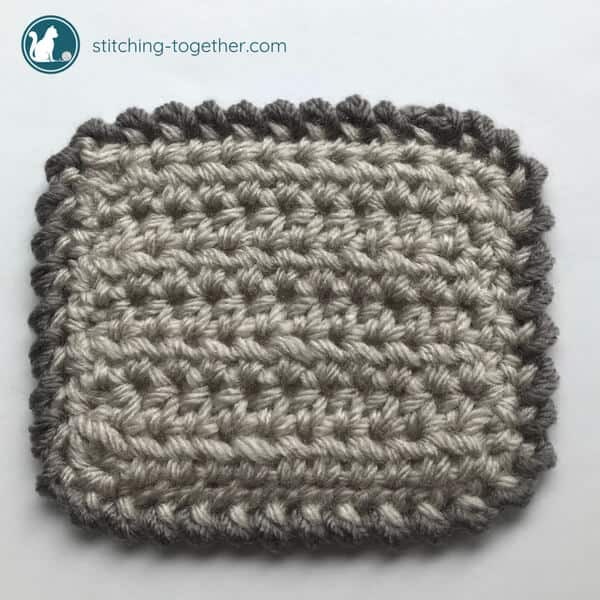 To complete your crab stitch border, stop when you’ve reached the stitch you started in. 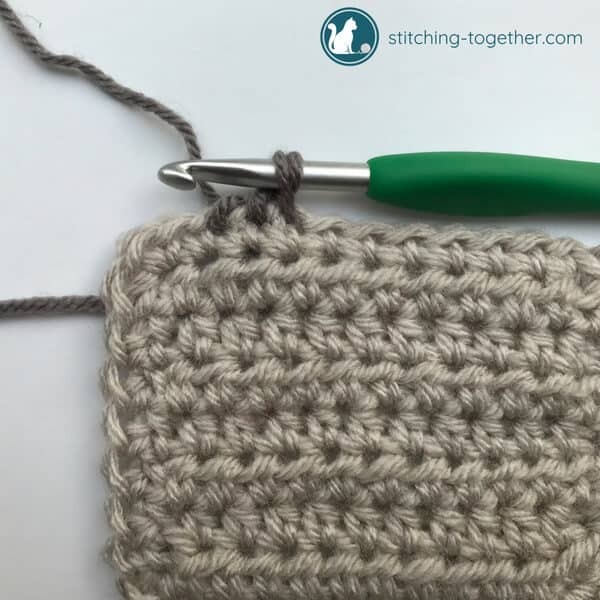 Instead of adding a crab stitch in that starting stitch, slip stitch into the same stitch you started in. Cut your yarn and pull through. When you weave in your ends, you’ll want to weave the tail through the stitches to the right. There you go! Now you know how to crochet the crab stitch! Where will you use it? 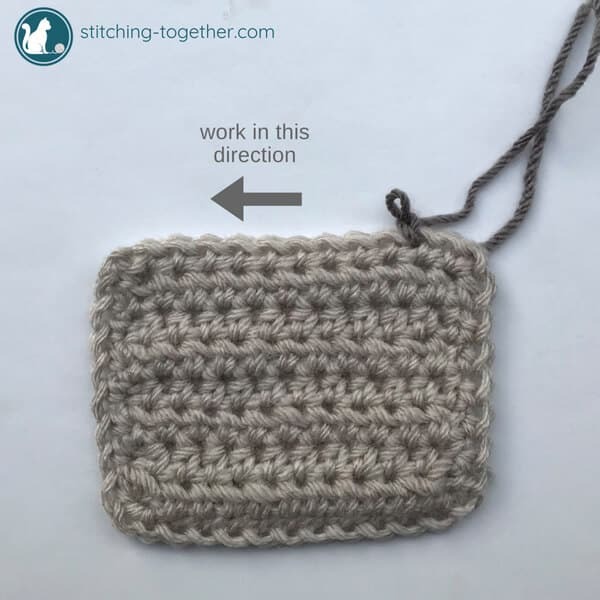 Making sure the right side is facing you, join yarn and chain 1 or just ch 1 if you are using the same yarn as the body of your project. 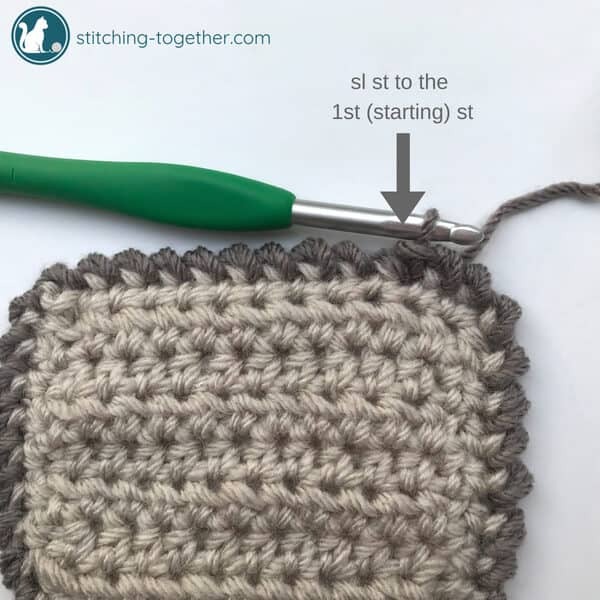 The reason the crab stitch is also called the reverse single crochet is because you are working in the opposite direction you normally work. 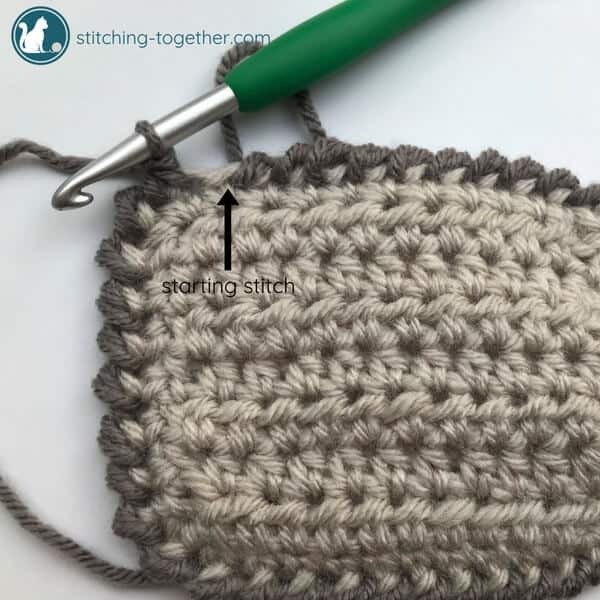 Instead of going into the stitch to the right (when you are looking at it) you are going to work into the stitch to the left. Insert your hook into the stitch to the left of your chain. 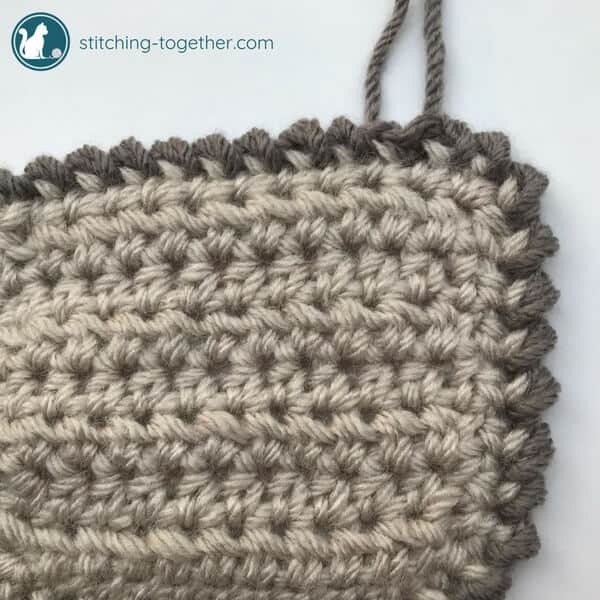 Continue, inserting your hook in the next stitch to the left, yarn over and pull up loop. 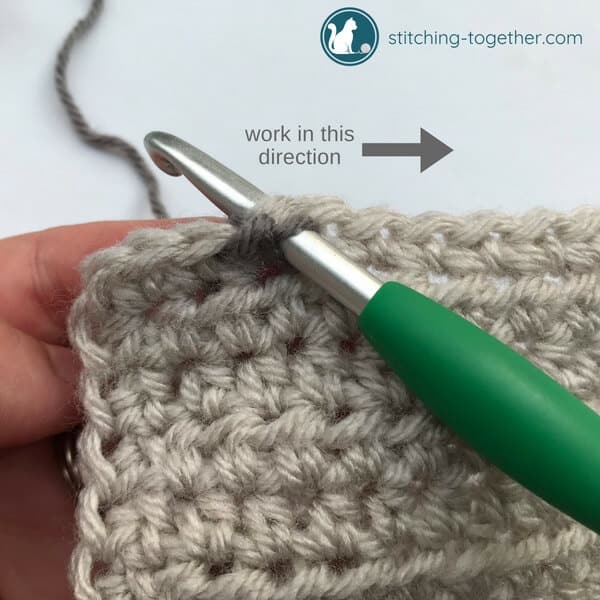 When you pull up the loop, it is helpful to hold your hook horizontal the the previous stitch so you are creating the same height with each stitch. Yarn over and pull through both loops on hook. To complete the crab stitch border, stop when you’ve reached the stitch you started in. Cut your yarn and pull through. When you weave in your ends, you’ll want to weave the tail through the stitches to the left. Excellent directions and pictures. I was having difficulty with this before getting to your directions. All the hints and clear pictures really helped a lot! This made my day Elsa! Thank you. what a lovely stitch, thank you!